Jimmy Fallon will host the 74th Annual Golden Globe Awards on Sunday night. UPDATE: A live stream of the 2017 Golden Globes was not available on Sunday night due to the fact that NBC reportedly has not obtained streaming rights for the event from host organization the Hollywood Foreign Press Association. The event billed as Hollywood’s biggest party is on for Sunday night, but there will be more than drinks and jokes for the entertainment industry to consider during the 74th Golden Globes ceremony. Hosted by the Hollywood Foreign Press Association, the annual event honoring the best of film and television is often written off as little more than a sometime entertaining spectacle that serves as little more than a precursor to Hollywood’s biggest awards show: the Academy Awards. But, while the Golden Globe results will certainly generate more buzz about the various winners’ and losers’ respective Oscars chances, there is more at stake for the major television networks and movie studios. The Golden Globes, hosted by Jimmy Fallon, will air on NBC at 8 p.m. ET on Sunday, with red carpet coverage kicking off on E! (and live-streaming on Twitter) two hours earlier. Time Warner’s premium cable channel once again scored more nominations than any other network. Previous award-winning HBO series Game of Thrones and Veep both returned with several nominations, as did newcomers The Night Of and Westworld. Adding more statues to HBO’s collection of awards continues to be important for the network that bills itself as the industry’s premiere home for prestige television—especially considering the growing number of challengers for that title. For instance, 21st Century Fox’s FX Networks landed nine total TV nominations for this year’s Golden Globes, led by the wildly popular anthology series The People v. O.J. Simpson: American Crime Story and new comedy Atlanta. 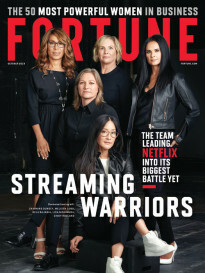 And, then there’s the major challenge to HBO (and all other traditional TV networks) by streaming services like Amazon Prime and Netflix—both of which scored several Globes nominations this year with the help of their multi-billion dollar (and growing) budgets for original content. Amazon has 11 nominations across the TV and film categories going into Sunday’s ceremony, while Netflix came away with six total nods. In past year, Amazon has actually topped Netflix in award wins despite the latter racking up more nominations. This year, Netflix will try to flip the script. Netflix has two shots at winning the category for dramatic TV series after sci-fi hit Stranger Things and The Crown both received nods. But, it’s the latter, that many forecasters predict will walk away with the award, which would go a long way toward justifying Netflix’s decision to spend a whopping (reported) $130 million on the historical drama about Queen Elizabeth and the British royal family that is already filming its follow-up season. Meanwhile, Amazon could make it a clean sweep on the TV side for streaming series if past winners Transparent—the Jeffrey Tambor-starring series about the transgender community—or classical music comedy series Mozart in the Jungle can repeat in the category for comedy or musical series (though FX’s Atlanta appears to be the frontrunner). Of course, streaming sites have been beating traditional media companies for TV awards for several years now at the Golden Globes and the Emmys. But, 2017 could be the year when either Amazon or Netflix finally makes some noise in the film categories. Both companies have been spending a lot of money to churn out more and more original films—while also navigating awards rules that require films to be released in theaters for at least a week—including Amazon paying $10 million for Best Picture contender Manchester by the Sea, a devastating drama starring Casey Affleck, at the Sundance Film Festival last winter. That movie earned five nominations for Amazon at this year’s Golden Globes, while Netflix scored one in a film category for the foreign feature Divines, a French crime drama. Both Amazon and Netflix are vying to become the first streaming service to win an Academy Award (Netflix has been nominated in the documentary category in past years), and a Golden Globe win for one of those films would put them on the path to making industry history. At the end of the day, it may be difficult to quantify the monetary value of a Golden Globe or Oscar win for a studio. But, award wins can certainly further legitimize content companies like Amazon and Netflix while helping them compete with traditional media for talent and viewers. How many people will watch the Golden Globes this year? Ratings for the program dipped in each of the past two years following a 2014 peak when more than 20 million people tuned in to watch Tina Fey and Amy Poehler host their second of three straight Golden Globes. Last year’s return of host Ricky Gervais saw Globes viewership dip nearly 5% from Fey-Poehler’s final turn in 2015 (though last year’s numbers were better than the last time Gervais hosted, in 2012). Of course, TV ratings for entertainment industry award shows (and other live events) have been dropping for several years, as overall broadcast television audiences continue to decline. Part of that decline has to do with the rapid growth of entertainment options—including the proliferation of programming on varying cable networks and the rise of streaming sites—that will be well-represented at the Golden Globes by nominees ranging from Amazon and Netflix to FX and Starz. 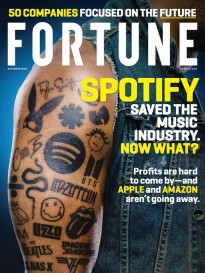 It’s reflective of the shifting landscape in the entertainment industry and, for those who do tune in on Sunday, the evening could serve as a reminder that these companies are competing for more than just awards.